Quick Draw continues to grow its ability to serve customers better by having 8 branches that are fully capable of installations and repairs. Combine these branches with over 25 qualified dealers across North America and Quick Draw provides its customers with superb access to repair facilities whenever and wherever needed. For each feature of the base Quick Draw system, one can point out a few competitors that also have that feature, but you will not find any competitor that has them all. Quick Draw is the most feature rich base tarp system. Quick Draw’s patented 4” diameter top rolling wheels and track that does not catch dirt. High performance, high temperature range grease is used in sealed guide wheels to ensure smooth rolling in extreme weather conditions. 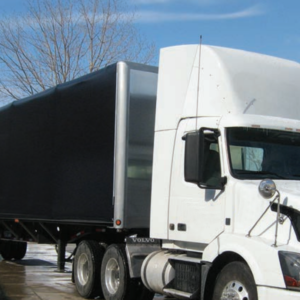 These top quality wheels are long lasting, easier and less costly to change than other competitive tarp systems. Strength in all the right places with its headboard featuring 3/16” aluminum plate thoroughly covering a high strength framework. All of this strength is in a very slim headboard measuring only 5.5” from its front face to back. The headboard is front mounted to the vehicle to maximize bed space. 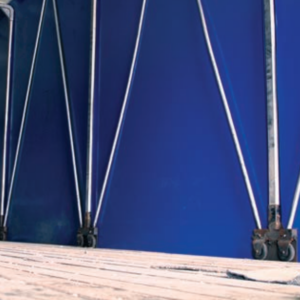 When fully retracted, the Quick Draw tarp system only occupies 8 feet of bed space. 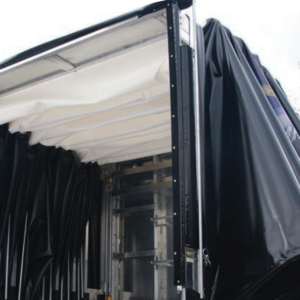 Quick Draw is among the most versatile tarp systems by providing complete tarp tensioning capability independently at the front and back of the tarp system. Quick Draw provides extremely high tension to tarps. This makes vehicles look good, makes tarps last longer and increases fuel economy. Quick Draw uses quality vinyl tarp material and in-house laser graphics service where printing quality can be controlled to the highest levels. For outstanding appearance and long tarp life, there are no fasteners poking through the vinyl tarp material anywhere on a Quick Draw tarp system. Quick Draw developed and perfected self-sealing bottom tarp edges to keep weather and road spray outside the tarp system. Quick Draw pioneered the idea of the adjustable rear bow to equalize tarp tension from top to bottom, make minor adjustments to compensate for tarp stretch and loading conditions. 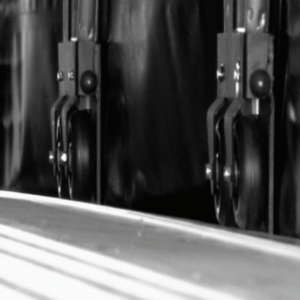 Quick Draw comes with a standard 1 year warranty on manufacturing defects. The 4” top rolling wheels (including bearings), the intermediate bows and die cast corners are covered with an exclusive 5 year warranty. The Quick Draw warranty covers BOTH PARTS AND LABOR! Every Quick Draw system includes a written warranty and FREE 6 month and 12 month inspections. The Quick Draw tarp system can be completely operated without the operator’s feet ever leaving the ground. Images and content displayed on this page taken in full or in part from QuickDrawTarps.com and QD Brochure 2017 for marketing purposes only on behalf of Quick Draw Tarpaulin Systems™. Images cropped for layout purposes only. Quick Draw Tarpaulin Systems™ logo is a registered trademark. Copyright ©1991 – 2018 Quick Draw Tarpaulin Systems – All Rights Reserved.